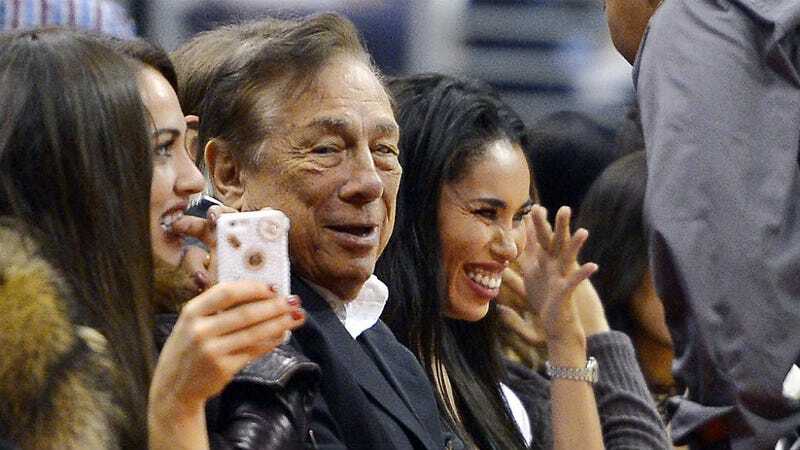 Yet another tape featuring disgraced L.A. Clippers owner Donald Sterling has surfaced, hurrah. In this one, he admits that he really just wanted to sleep with V. Stiviano. And when you’re trying to reel in a woman, you'll say anything, amirite? Radar Online published the latest audio clip of Sterling explaining to a friend how blindsided he felt when his infamous chat with Stiviano, asking her to stop “broadcasting” that she was “associating with black people” on her Instagram like Magic Johnson, went public. People who are into blackmailing rich people for money, but that’s just a guess. The tape continues and Sterling further explains how he was really just jealous of Johnson talking to Stiviano, his girlfriend, er, mistress, er, assistant, er, silly rabbit? Help me. “And you’re talking to her and then you go away,” he said. “And the next thing you know, three months later what you said when you were hot trying to get in her … is released!